Jewellery trends come and go but one trend that has stood the test of time is antique-effect jewellery. 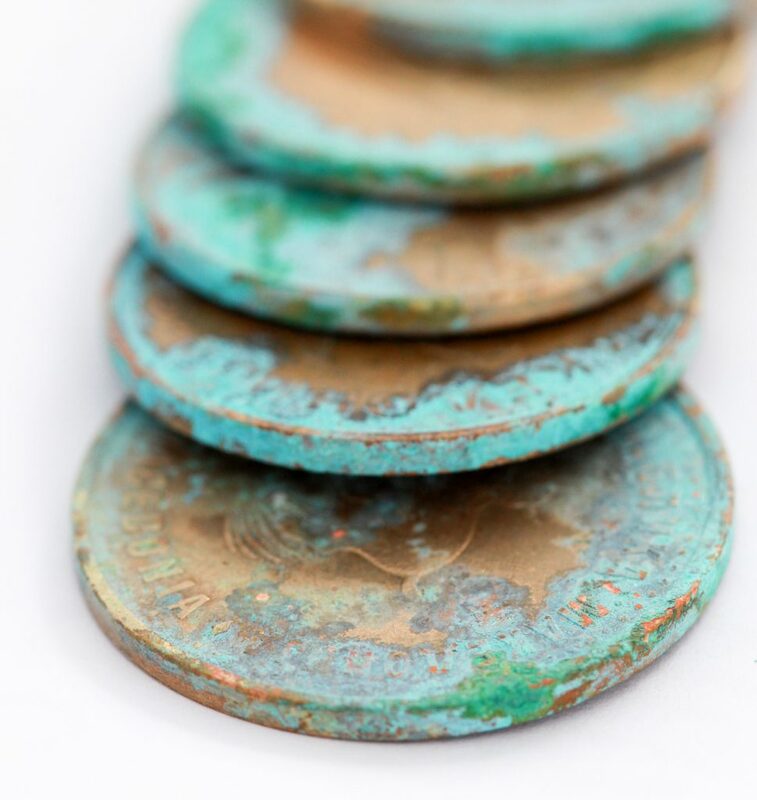 Copper and brass pieces with an antique look have remained a customer favourite for a long time, and with just a little time and some liver of sulphur, it’s simple to learn how to patina copper pieces for that lived-in, antique look. 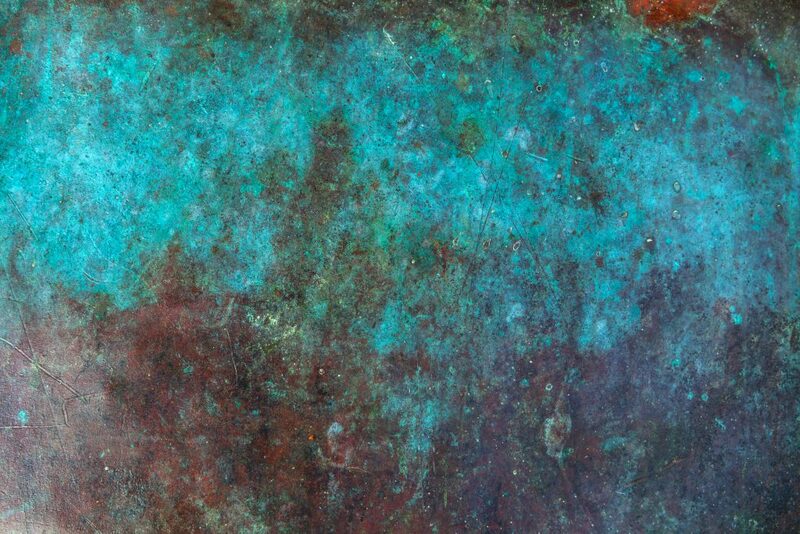 Here’s your step by step guide on how to create a patina finish using a copper patina solution. Before you learn how to patina copper, the best place to start is by prepping the pieces you’re working with. For the best possible results, always clean the copper you’re working with to remove any fingerprints, excess debris or oil. That being said, it’s also worth avoiding a completely satin finish as this leaves less for the copper patina solution to cling onto. Is your piece finished? Before you start making the patina solution, you’ll need to make sure that you’re happy with your piece. If it’s not completely finished and polished, and the liver of sulphur is applied and followed up with more filing and polishing, it’s likely that the patina finish will be compromised. Clean with a pickling solution. Make your pickling solution and gently heat it to speed up the cleaning process. Now carefully place your copper into the solution using plastic tweezers. Once cleaned, remove from the solution with your tweezers and rinse. Once clean, avoid handling the copper directly to avoid oil being transferred to the sheet. If you’re new to creating pickling solutions use our step by step guide on how to make pickle and the precautionary measures you’ll need to take to use the chemical solution. Get your tools ready. Do you have a set of plastic or stainless-steel tools at the ready? You’ll need these to remove items from the liver of sulphur solution. Don’t forget to use rubber gloves too. This will protect your skin from the chemical solution. Boil the kettle. Dry form liver of sulphur is dissolved in warm water to create your copper patina solution. There’s no need for the water to be boiling hot – warm will do. Add the water to your plastic mixing container or bowl. Add the liver of sulphur. Wearing rubber gloves, remove the required amount of dry form liver of sulphur with your tweezers and carefully add to the water. Only a small amount of liver of sulphur is required for the desired aging effect. This is because a patina solution that is too concentrated may cause the patina to flake off. Mix the dry form liver of sulphur into the hot water until it dissolves. Now you’re ready to place your copper into the solution. If the container you’ve mixed your patina solution in is fairly deep, it may be difficult to remove the pieces with your tweezers without getting the liver of sulphur solution on your clothing or your surroundings. One common trick to avoiding any spillages is to hang your copper metal using excess metal wire and dropping it into the solution with the wire sticking up out of the solution. That way, it’s easy to remove and you’re less likely to spill any of the solution. Re-seal the liver of sulphur container. Once re-sealed the dry form liver of sulphur should be stored in a dry cool place, away from direct sunlight. Avoid storing with food or clothing as the smell of sulphur may linger. Remove the copper metal. Once you can see that the copper metal has turned black, you can remove the piece using your plastic tweezers or using the metal wire trick as mentioned above. Once removed you’ll need to rinse the piece in water. Dip it into a separate tub of water or rinse away under a cold tap. Remember to avoid touching the pieces where possible. Scrub off excess solution. To achieve the desired aging effect on your copper pieces, use some wire wool, a brass brush, or an old polishing cloth to remove the excess copper patina solution. You can apply as little or as much pressure as you like for your desired effect. Now leave to dry. Apply wax to your finished piece. The artificial antique effect created by your liver of sulphur solution can be protected by applying renaissance wax. Simply apply a small amount of the renaissance wax to a dry cloth (a little goes a long way). Then apply to your finished copper piece. This will protect your work, keeping the darker, oxidised areas of your pieces dark, and the lighter, shinier surfaces untarnished. This technique works especially well where you’ve created textured, patterned pieces, or pieces with stamped or etched designs. This is because the patina solution clings to the indentations, making them more prominent while simultaneously creating an aged look. Now you know how to use liver of sulphur and how to patina copper, you can experiment with the method to define more intricately stamped/etched pieces and create that popular antique look with ease.